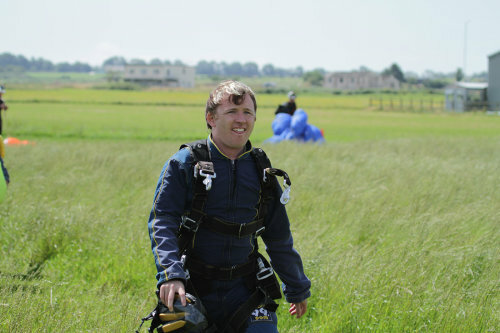 Recently, we jumped 15,000ft out of an aircraft for a fantastic cause! Company Director Daniel Hillier and team member Lucy Naylor were crazy and brave enough to jump out of an aircraft in order to raise money for the charity Pete's Dragons. Pete's Dragons do a fantastic job at providing support for families that have been affected by suicide. 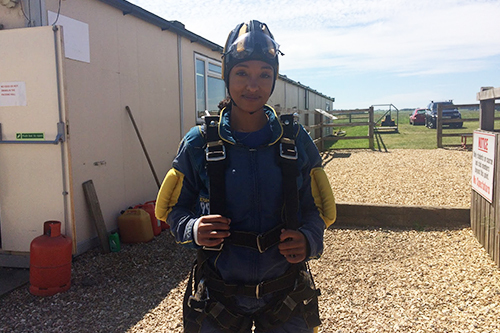 The provide financial assistance and support for families during a very difficult time, so when they asked us to jump out of a plane we could hardly decline. The skydive was held at Dunkerswell airfield in Devon and was originally part of a world record attempt for the most skydives held in one day. Due to weather, the original date of the skydive was postponed. "It was a very exciting thing to do and although I wholeheartedly believe in supporting a good cause, I wouldn't jump at the chance to do it again." "It was a fun day out and the weather was fantastic, many thanks to Pete's Dragons for organising the day." We would like to thank everyone that has supported us and donated to this fantastic charity.